This Week’s Look will be back from summer hiatus in full force sometime after Labor Day. 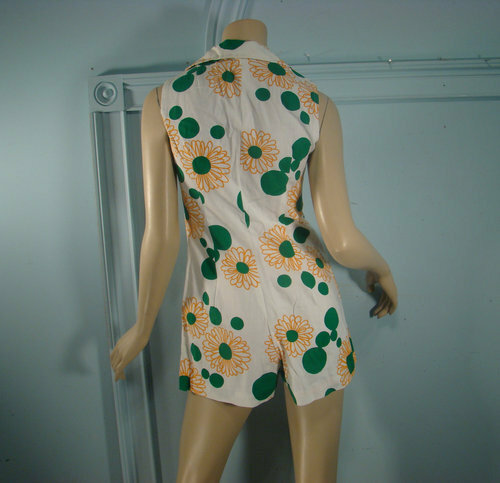 Until then, enjoy this vintage 1960s mini romper we found on etsy this week. Zip it all the way up the neck for a super mod look. Click on the images below to see the seller’s listing. Just in time for summer, this week we found a vintage 1940s, candy striped play suit with adorable bubble shorts and a top that can be worn strapless if you dare. Look at those cute side ties on the shorts. Click on the images below to see the seller’s eBay listing. 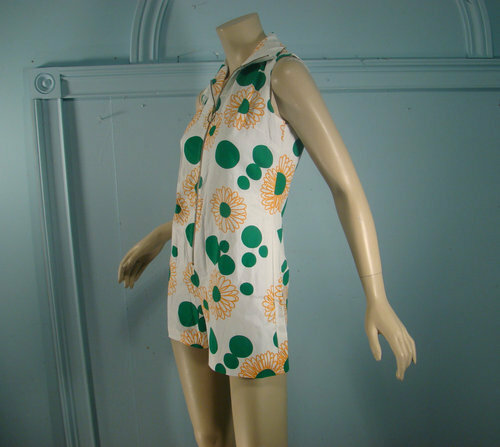 This week we found a vintage 1970s “komodo” jumpsuit from TheyRoaredVintage on etsy for $48. There are so many different ways you could change the look of this outfit. 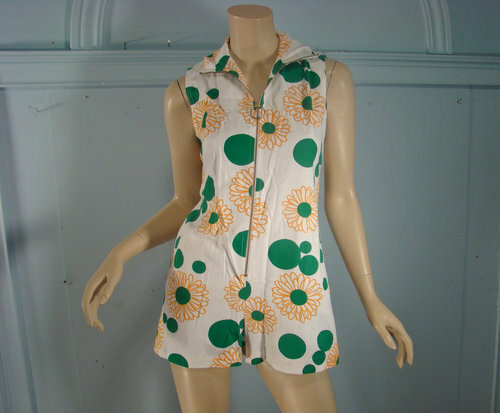 Add a belt or a floppy hat. Maybe tights for the evening. Click on the image below to see the seller’s listing.